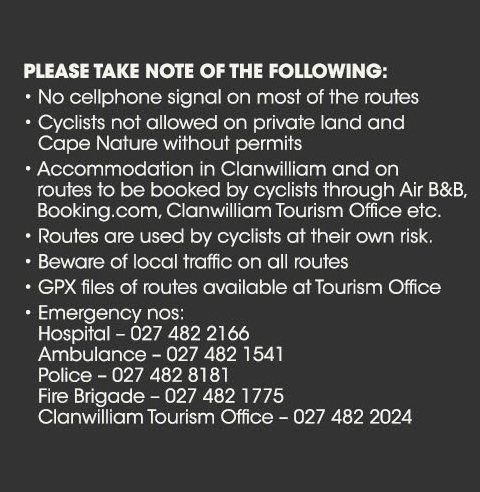 Apart from the routes on public roads, the following private farms also have routes, where cyclists have to pay a fee to get access. 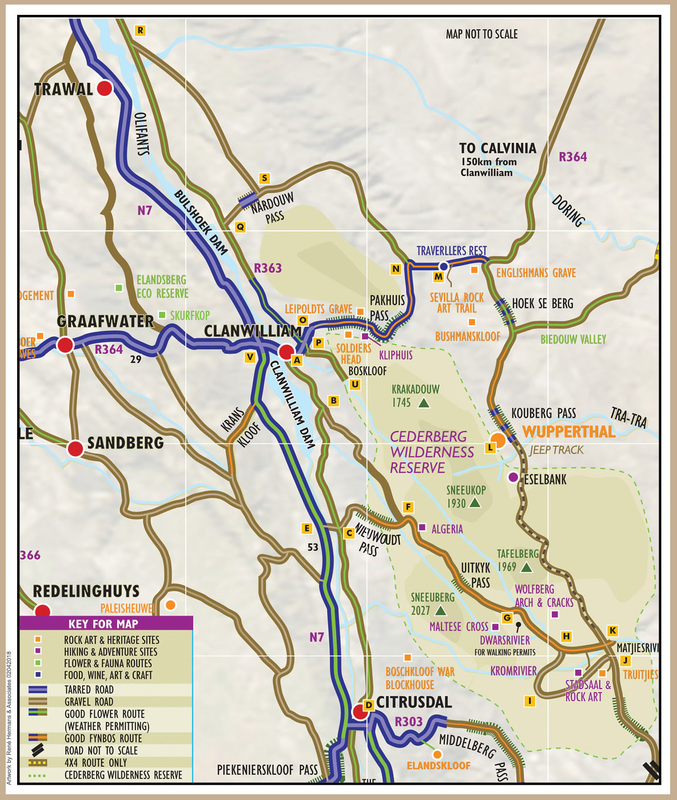 Bakkrans/Keurbosfontein – Situated between Matjiesrivier and Wupperthal in the Red Cederberg. MTB routes on the farm and public roads. 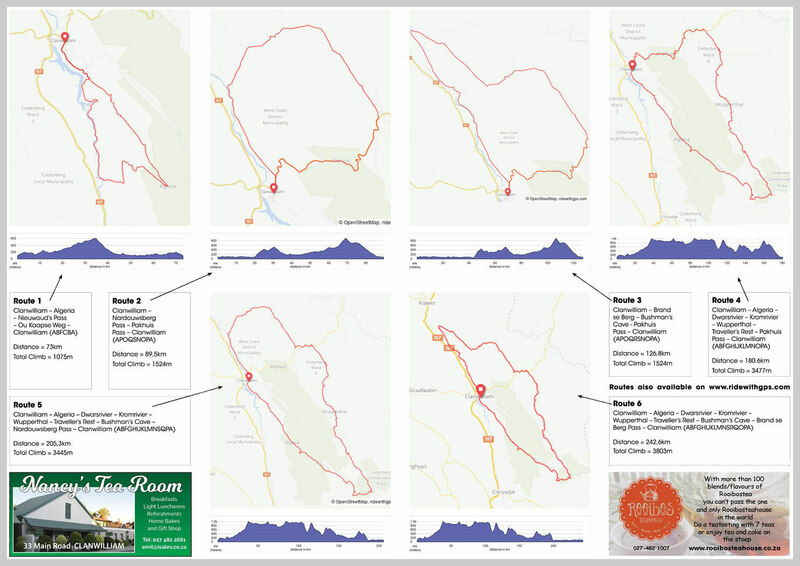 Kromrivier – Situated in a beautiful valley with many MTB options on the farm and public roads. You have a number choices from the Nieuw Brew Craft Beer range and Kromrivier Wines to try out after cycling. 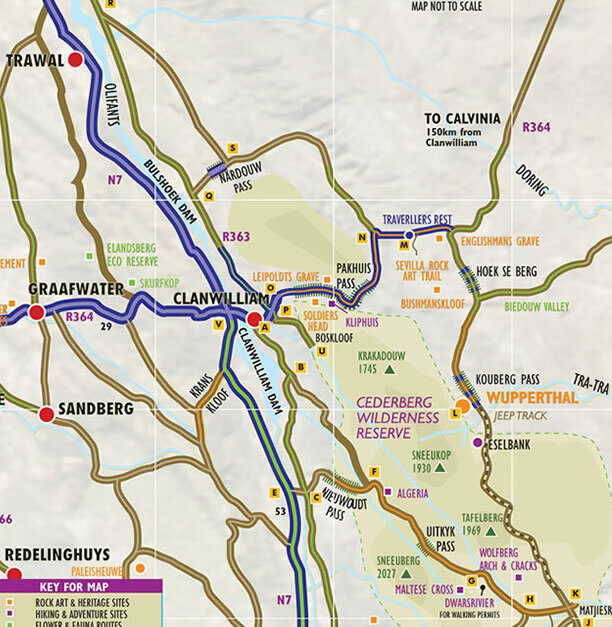 Nuwerus – Situated on the road between Matjiesrivier and Ceres, Nuwerust offers MTB riding on the farm and on public roads, ranging from 4 -80km. 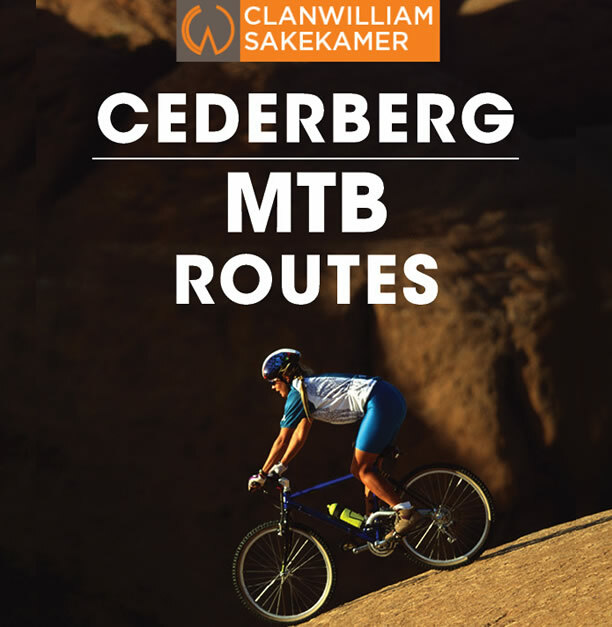 All the above properties are within cycling distance from each other and more information is available on the Website: https://www.cederberg.co.za/activities/mountain-biking or the websites of the individual farms. 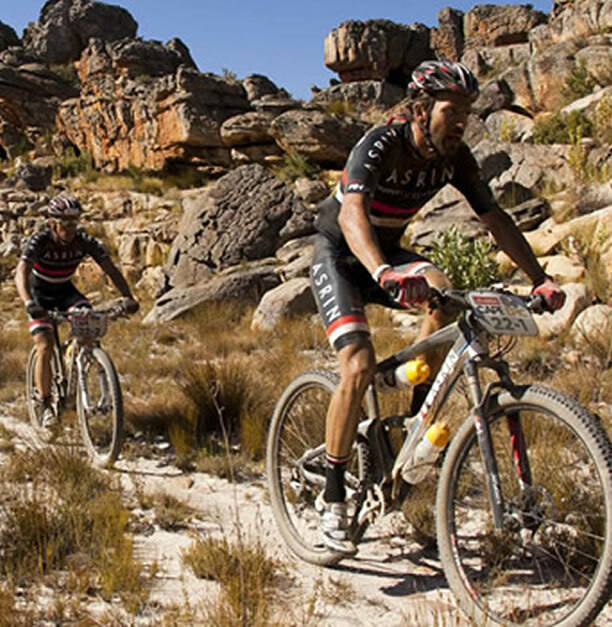 Should you wish to get fit for the Cape Epic or other MTB endurance races, the Cederberg is the area to come and train. Accommodation is available in town or on farms and you can exercise as hard as you wish and also enjoy the scenery, wine and craft beer.